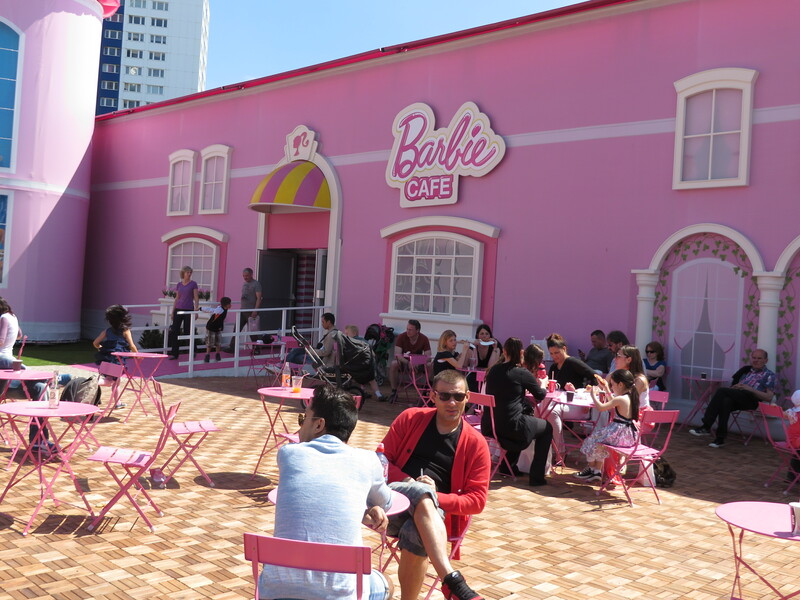 A new 50,000 square-foot “Barbie Dream House” theme park opened in Berlin last week near Alexanderplatz, though it’s actually a huge pink tent made out of canvas and plastic. The 15 Euros price tag for admission made it too pricey for me to go in (but I did have a Skipper doll when I was a kid). I rode by, though, to check it out. 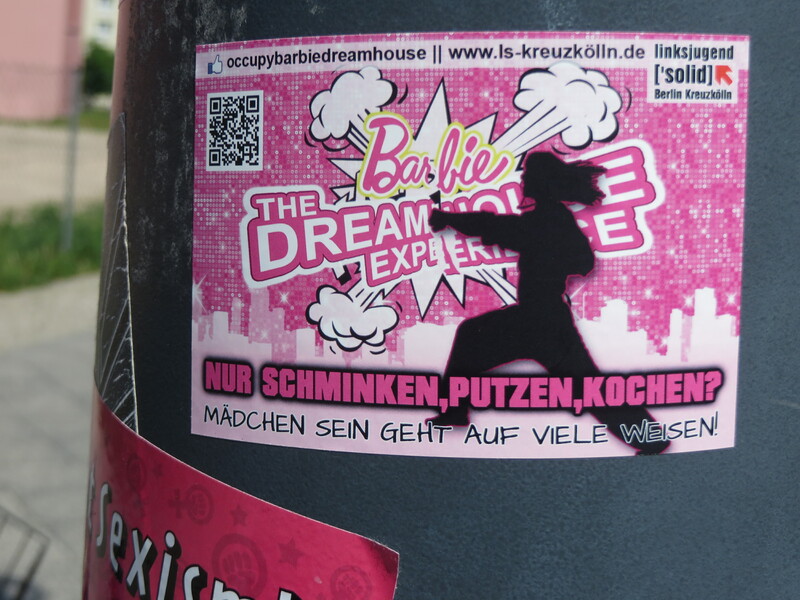 At the opening, a women’s rights group, Femen, protested the Dreamhouse as sexist propaganda, which you can read about at Protesting Pink: Barbie Dreamhouse Gets Fiery Welcome in Der Spiegel (May 17, 2013) and at Occupy Barbie-Dreamhouse on Facebook. A group called Junge Linke created a sticker that is now plastered all over Berlin.